50 tables are available! First come, first served: scroll down to book your table now. Earlybird rates apply until the end of 2018! 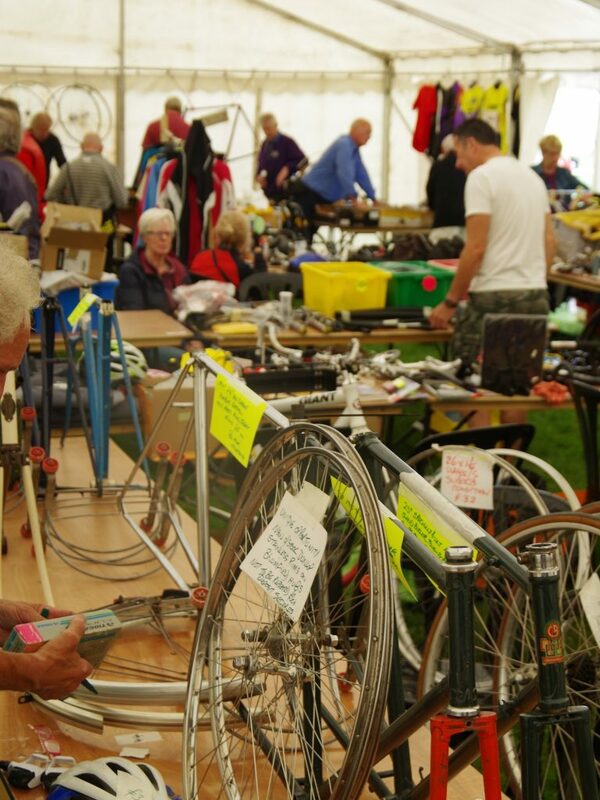 The traditional Saddlebag Sale (cycle jumble) is back at the revived York Rally in 2019. 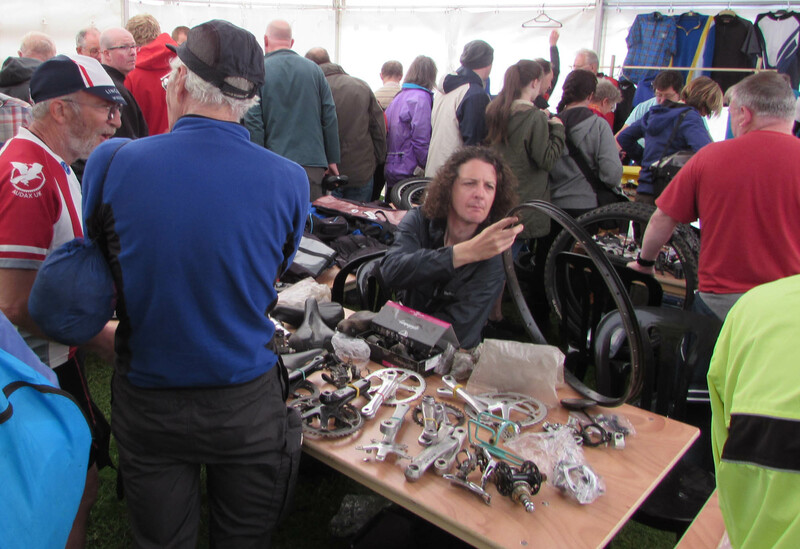 Sell your spare parts, donate items to help Rally funds, or seek out a bargain, or just browse! The sale opens at 11AM on Sunday 23rd June 2019. Entry will be free with a show programme (which will be priced at £1) . Otherwise, entry will cost £1. 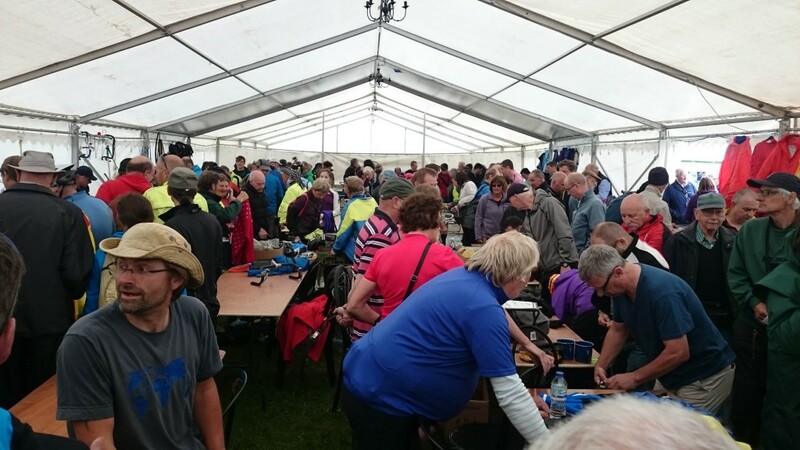 Donations – please bring your spare kit and help raise funds for the Rally. We’ll have a table set aside for donated cycling gear, which will be sold to raise funds for the Rally. 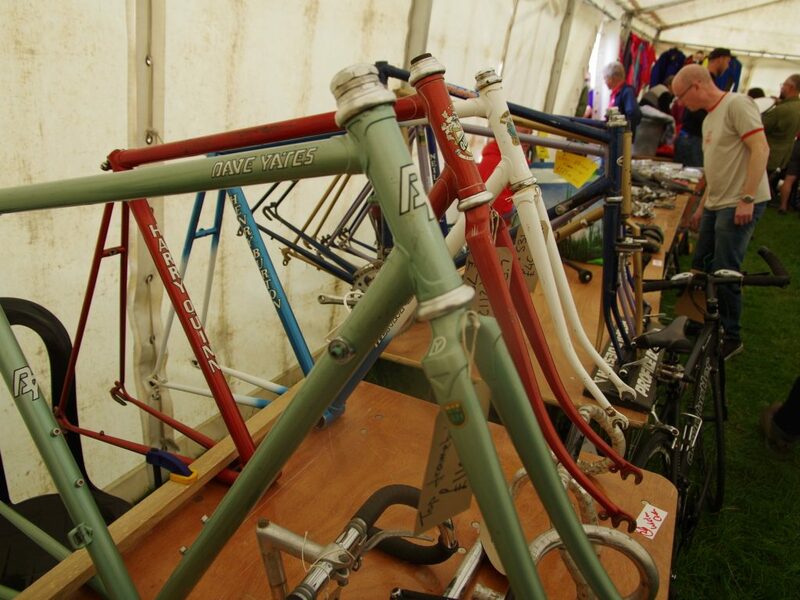 All parts and accessories, good condition clothing and even complete bikes are very welcome. 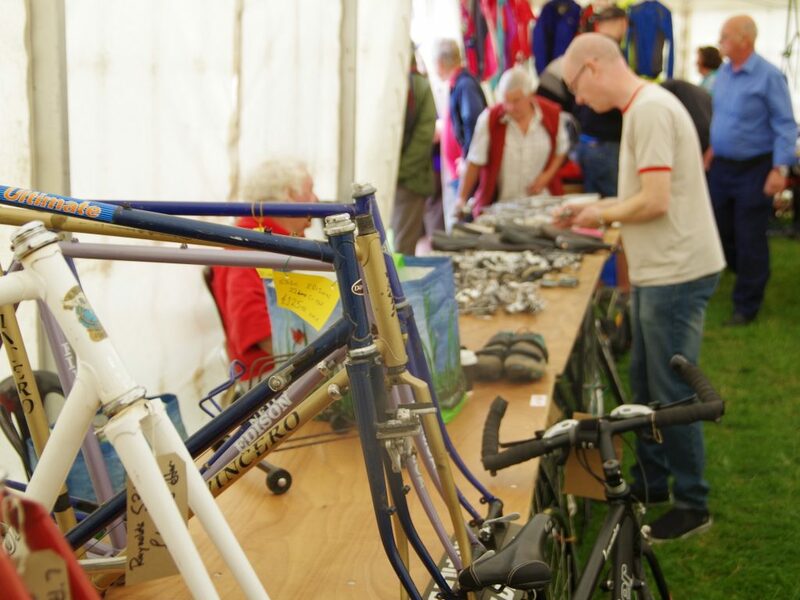 All funds raised will go to supporting the Rally, and any items left unsold will be donated to the York organisation “Bikes in Need” who provide bikes, locks and lights to newly arrived refugees. Please bring your donations to Rally HQ before 10AM on Sunday morning. If you’d like to donate a complete bike, please bring it to HQ before 10AM on Saturday, so that we can enter it into the auction. The marquee will be open for setting up your tables from 10AM. 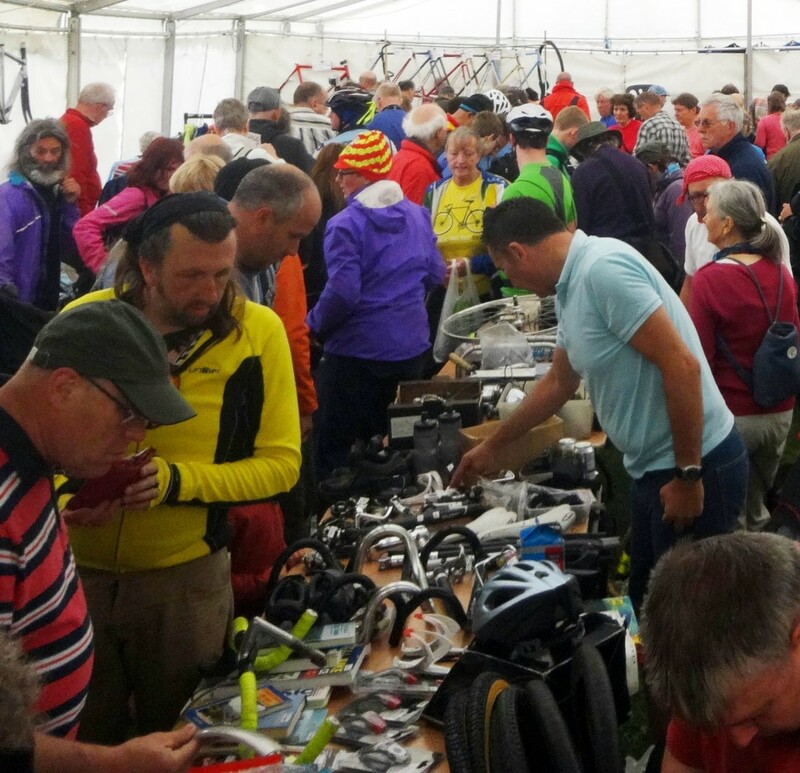 When you arrive on site, please mention to the marshalls on the entrance that you are a Saddlebag Sale/cycle jumble seller and you will be directed up to park near the marquee where the sale takes place. Please go dead slow on the Rally site. Please note that in 2019 all loading/unloading will be from the rear of the marquee: no vehicles are permitted in the central event area. Parking for unloading and loading will be clearly signed and marshalled: please do not attempt to park anywhere else. There are just 50 tables available, and these are being allocated on a first come, first served basis. A table costs £12. This just about covers our costs for hiring the tables, with anything over going towards the cost of hiring the marquee. Any additional donation when you book a table is most welcome, and we also invite sellers to become Friends of York Rally if you are not already a member. Sellers will be provided with two wristbands per table booked. Collect these at the marquee entrance before you start bringing goods in. For seller security, access to the marquee before the sale opens will be strictly limited to wristband holders – no exceptions. If you need more than two wristbands please book these in advance (they will also be available on the day, but there may be a small charge for this). To book by post, please fill out this form (Word doc or PDF) and it send with a cheque made out to ‘York Rally’ please, to: York Rally, 11 Lyndhurst Avenue, Cottingham, HU16 4QE. Assuming there are still tables left, you can also book one at the Rally itself – please just enquire at Rally HQ. This will cost £12. 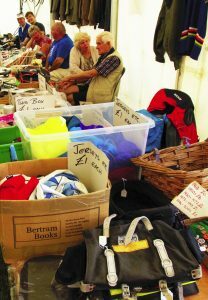 Please note this sale is for secondhand goods only – absolutely no traders with new items please. Also, we know that a number of people would like to sell their items throughout the Rally, rather than just in the limited time (and crowds!) of the Saddlebag Sale. 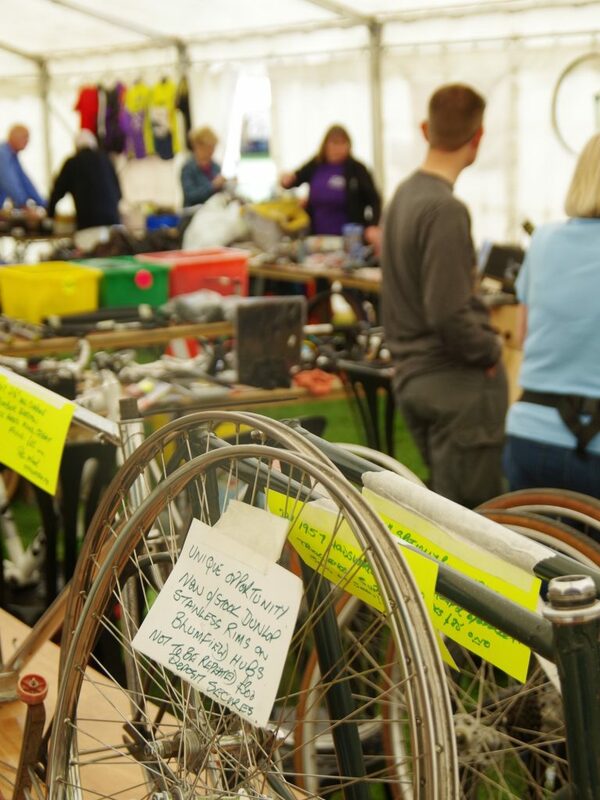 To comply with trading rules (from City of York Council) anyone wishing to sell items on an ongoing basis during the Rally is invited to contact our Trade Co-Ordinator – for small traders a pitch in the trade show area will not be expensive (and you can sell new items, too, if you wish). To contact our Trade Co-Ordinator Charlie Hodge, please see here. For anyone who has reached this page directly, note that this sale is part of a grand cycling weekend, the York Rally, now organised by an independent committee of volunteers. It’s held on the Knavesmire in York (satnav to YO23 1EX, see also How to reach the Rally) and entry to the Rally is free. 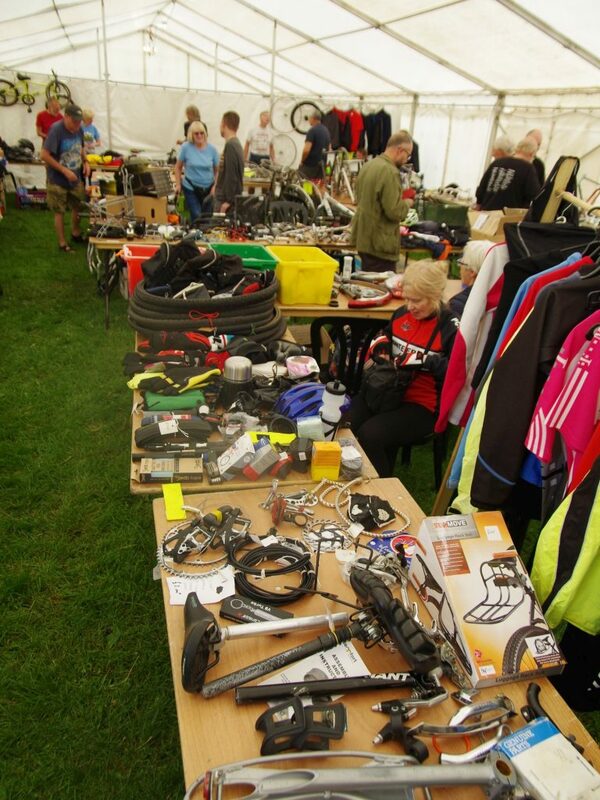 If you have any queries about the saddlebag sale, please just email us on: saddlebag@yorkrally.org. You are also welcome to call on 01482 843286 (preferably between 7 and 8 PM, Sunday to Thursday). If there is no reply please speak very clearly and leave a number for us to call you back. If you do not hear back within a week please call again – the message will not have got through.